1. Chimney damage can build up even if you never use or infrequently use your chimney. Even if you rarely use your chimney or never turn it on at all, there is still the need for regular chimney services and repairs. 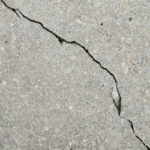 Customers are often shocked to find out how much damage a chimney can suffer even when it is rarely used. 2. Get a few estimates before conducting any chimney repairs. Obtain a few different chimney repair estimates to ensure you’re not paying too much or getting oversold on things you don’t need. It’s super easy to get taken advantage of without a cost comparison, especially if you’re not all that familiar with the inner workings of your chimney. A reputable contractor should supply you with sufficient documentation outlining the details of his or her estimate. Price should not be used as the sole indicator of whom to hire. Just because someone offers a really cheap estimate does not mean they will provide good work. 3. 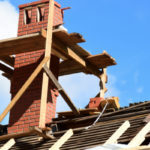 Chimney repairs should be a top priority. 4. There are ways to avoid the many chimney scams out there. 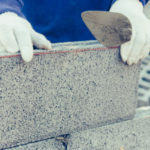 There are countless chimney repair scams out there and you don’t want to accidentally fall prey to one. Beware of any deals that seem too good to be true, and always get a second opinion, especially if you’re leery about the first one. 5. You may have experienced a chimney fire and not even know it. You notice that the creosote in the flue looks puffy or honey combed-like. There are large chunks of flue tiles missing or visibly falling off. You see flakes of creosote littering the roof or ground around the chimney. 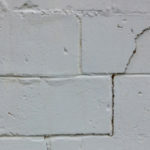 You see visible cracks in the exterior masonry. The rain cap appears distorted or discolored. Warping of metal damper, factory-built metal chimney or metal smoke chamber connector pipe. Roofing material has noticeable damage from hot creosote. 6. Creosote is a flammable substance that’ll naturally build up in your chimney. Creosote is black or dark brown and can be flaky or crusty, tar-like, or sticky. You’ll likely see multiple types of creosote in one chimney system. No matter what form it appears in, all creosote is highly flammable. When it builds up in substantial amounts the likelihood that it combusts increases. Pair a build up of creosote from an unkempt fireplace with a super hot internal flue and the result is a chimney fire. 7. Do not use your chimney after a chimney fire. 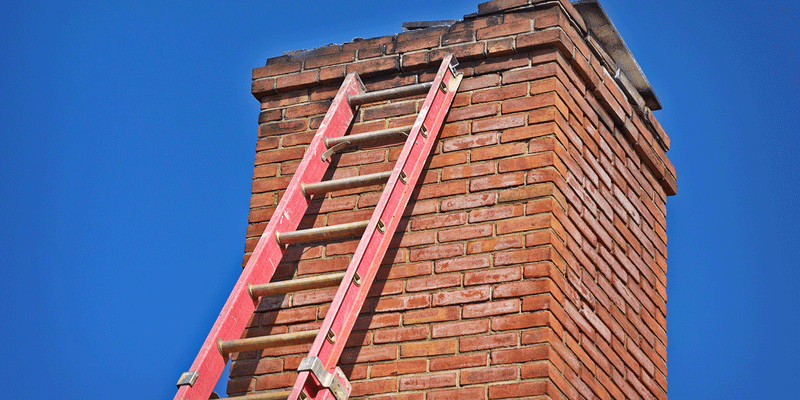 If your wood or brick built-in chimney catches fire it requires necessary repairs before it can be safely used again. Pre-fabricated or factory-built chimneys should not be used after being damaged by a chimney fire. They should be discarded and completely replaced. Turnbull Masonry provides superior chimney maintenance, repairs and installation. Contact us today for a free quote!